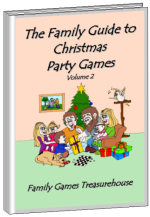 Break the ice with these fun, free ice breaker games for parties, family reunions, youth group meetings, team building and all occasions. You know how hard it is, going to a party where you don't know anyone else. Maybe you've been to a family reunion but you really didn't have a clue who half the relatives are. It can be awkward, especially if you're on the shy side and don't especially like go up to talk to someone you don't know. 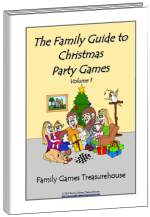 So, if you're about to organise a birthday party for your children, or a family reunion for the whole clan, or if you want to get a couple of local youth groups together for a fun time together then you're going to need some get-to-know-you games to break the ice. 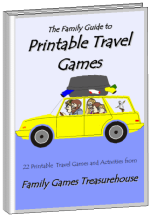 You'll love the games we've got listed on this page. We've got plenty of ice breaker games to suit all ages from young kids, through to teenagers and adults. We would love to hear from you. 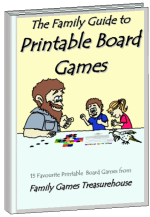 Do you have a great icebreaker game that you enjoyed playing? Please fill in the form below and share YOUR game with us. 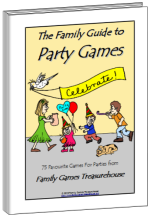 These games are great for birthday parties, family reunions and youth groups - or anywhere you have a crowd gathered. Family Reunion Bingo - Can you get a unique signature for every box of your bingo sheet? Old McDonald - Can you sing a song involving the names of everyone in your group?